The many-platformed digital media company TheSkimm is set to publish its first book this spring, called "How to Skimm Your Life," due out June 11. 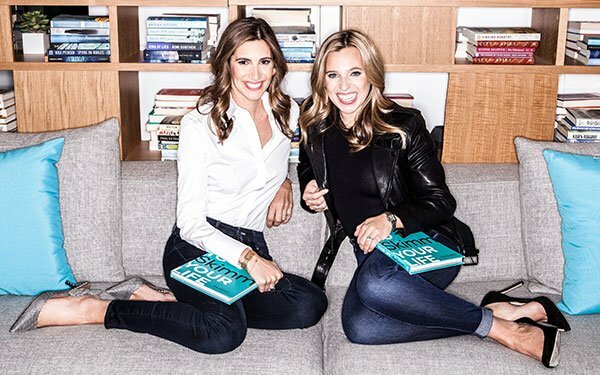 The book’s release will coincide with a 10-city tour hitting New York, Chicago, Charlotte and Atlanta, among other locations, featuring a night out with TheSkimm cofounders Carly Zakin and Danielle Weisberg. Each stop will focus on empowering audience members to take action on important aspects of their lives, such as salary negotiation and creating a budget for smaller occasions, like choosing the right bottle of wine. Both regular and VIP tickets will be sold for the events. General tickets include a pre-show networking event, a copy of the book and admission to the talk. VIP passes include a signed book and gift bag offering favorite products of TheSkimm, new professional head shots, a complimentary wine flight, early entry to the venue with preferred seating and a meet and greet with Zakin and Weisberg. During the tour, the cofounders will also discuss what they have learned since launching TheSkimm in 2012, from those first moments when the idea was born to building a brand that attracts more than 7 million daily subscribers. How to Skimm Your Life will be published by Ballantine Books, an imprint of Random House Group. TheSkimm’s book tour follows the launch of its first daily news podcast earlier this month. The “Skimm This” podcast focuses on four news stories daily, offering a nonpartisan perspective in a 10-minute format.